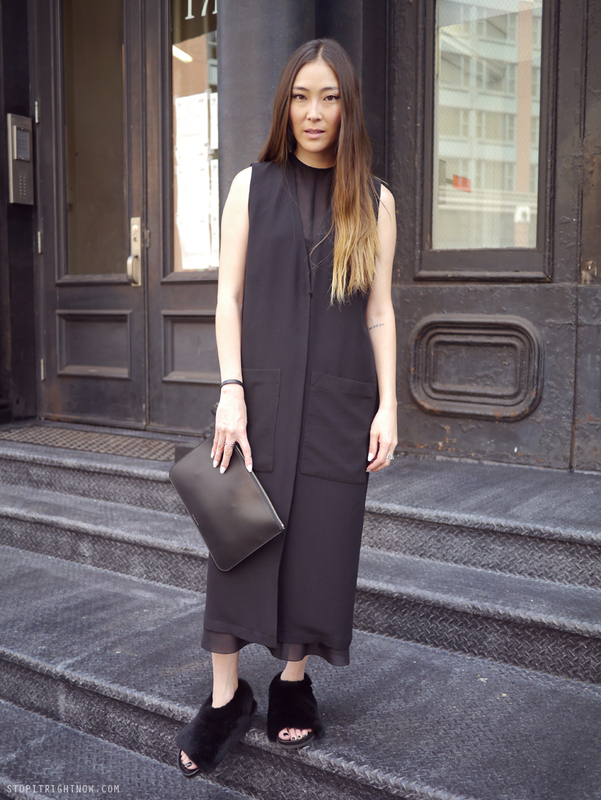 Wore Jen Kao to her show today - my favorite look of NYFW so far that is, no doubt, heavily influenced by the comfort factor. I would basically wear this every day if I could. Actually come to think of it my whole outfit is glorified house wear - essentially a nightgown and house slippers. Funny how black makes everything chicer. Love the dress & vest. Effortless dressing, in black = chic timeless.